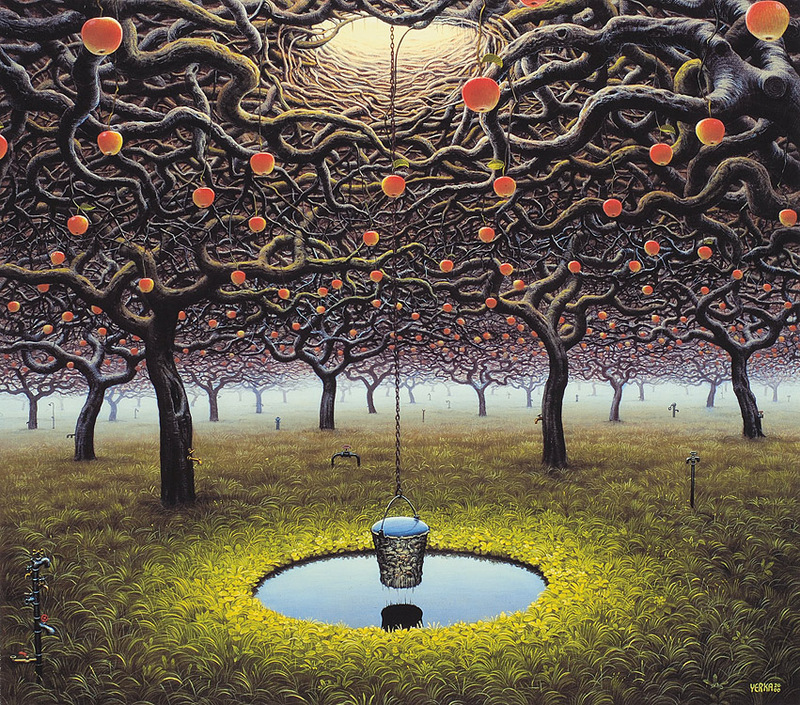 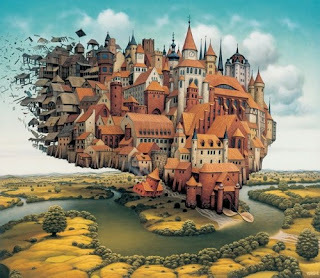 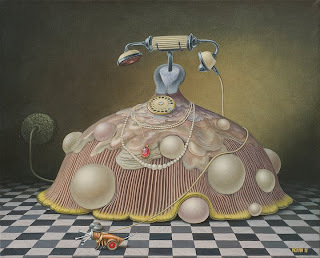 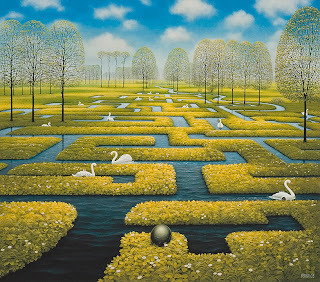 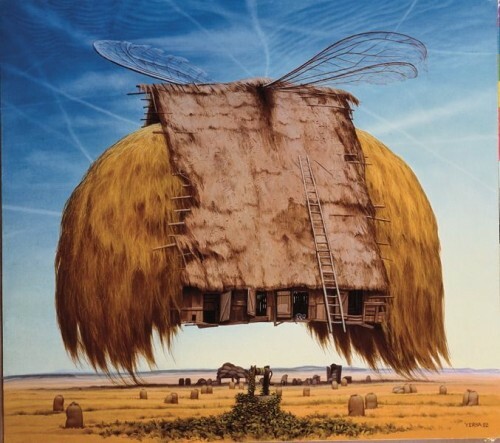 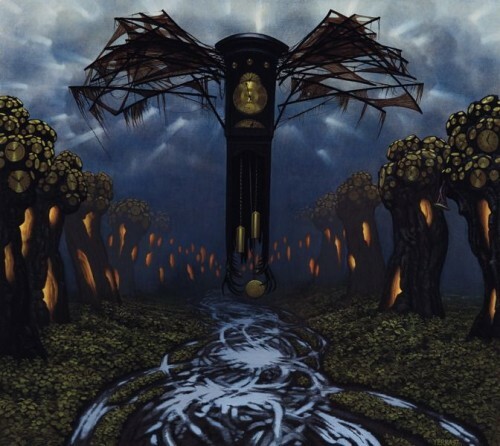 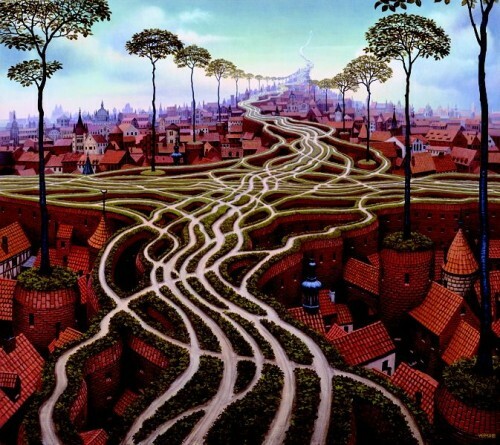 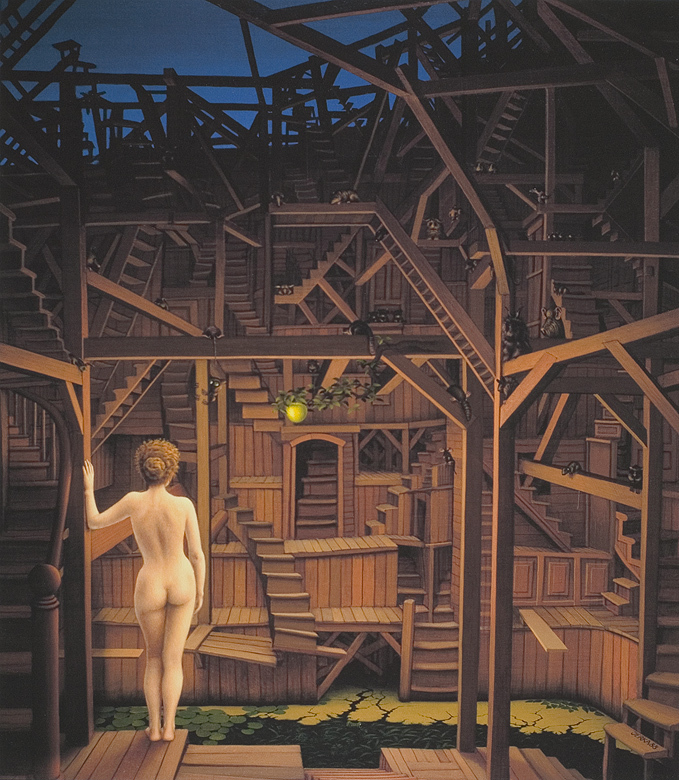 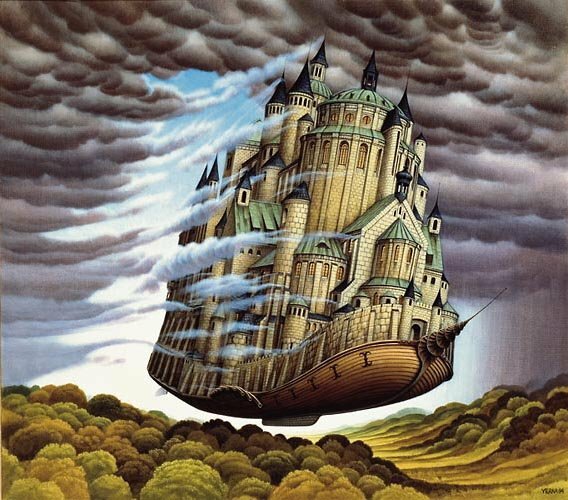 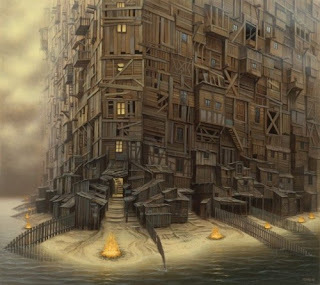 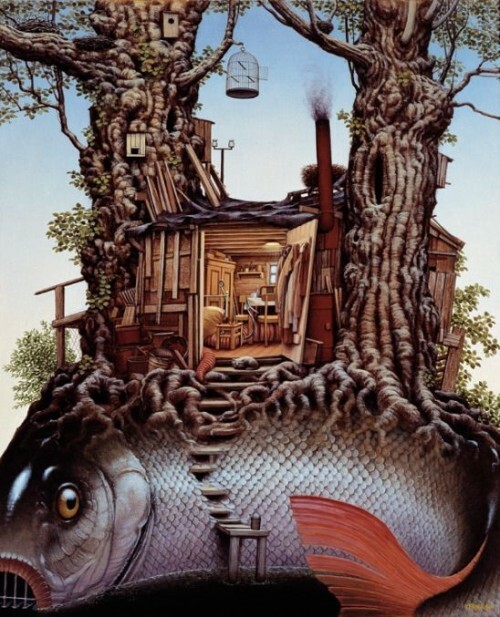 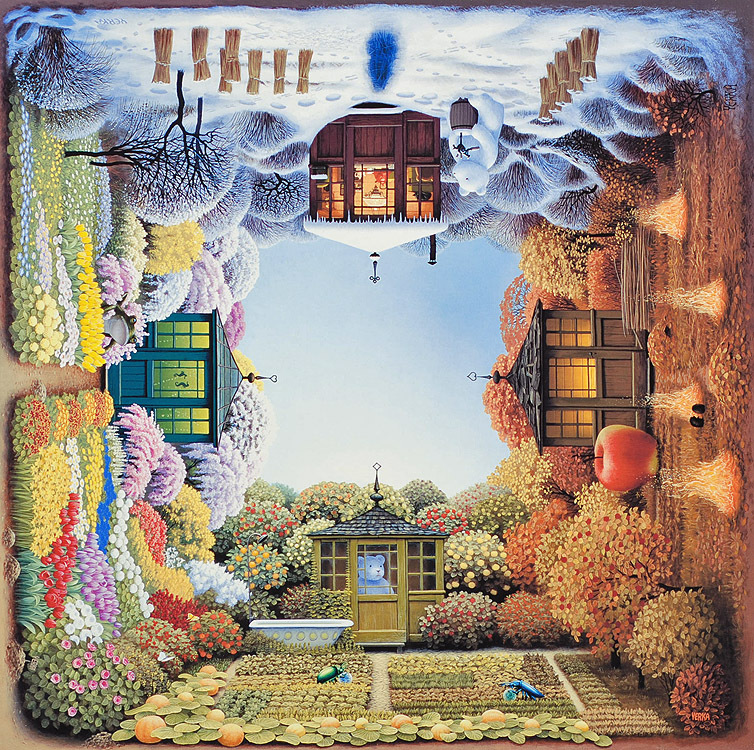 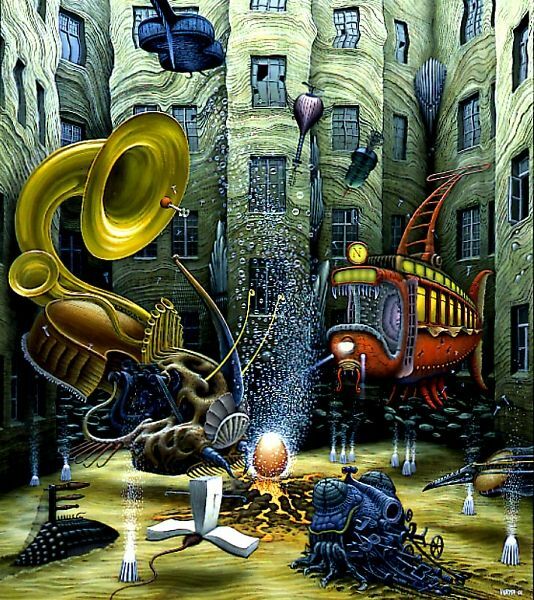 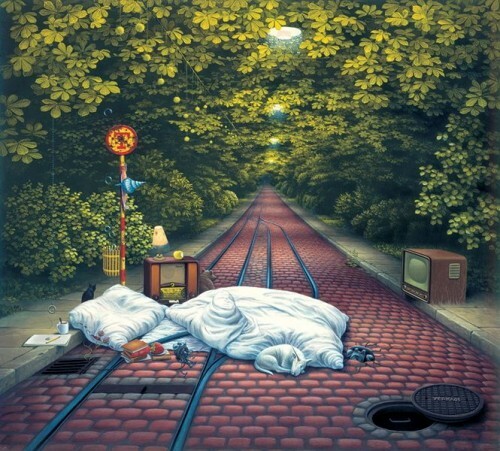 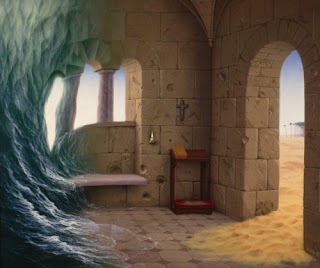 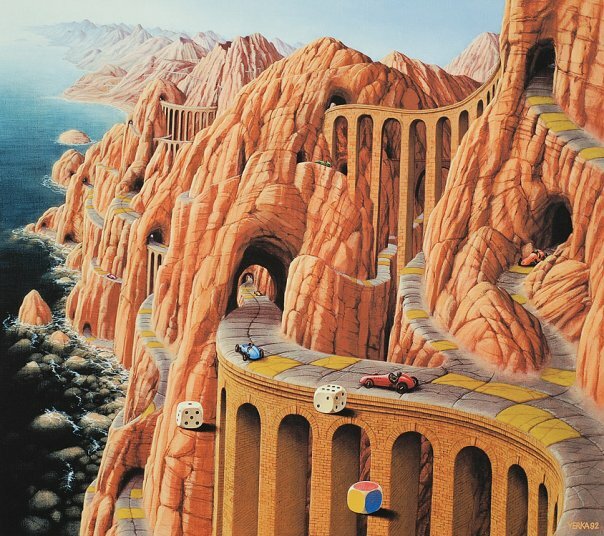 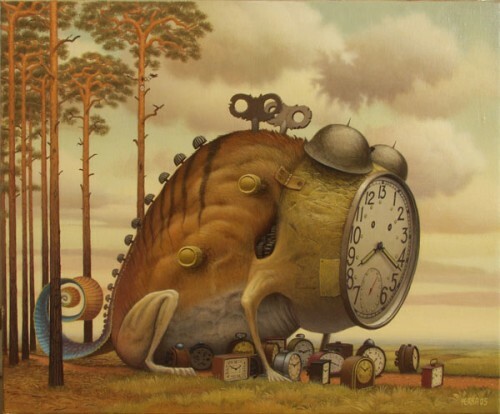 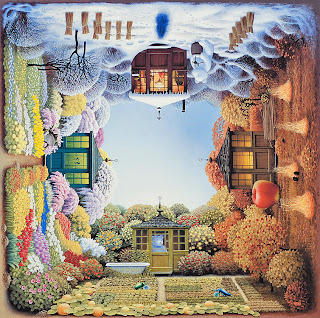 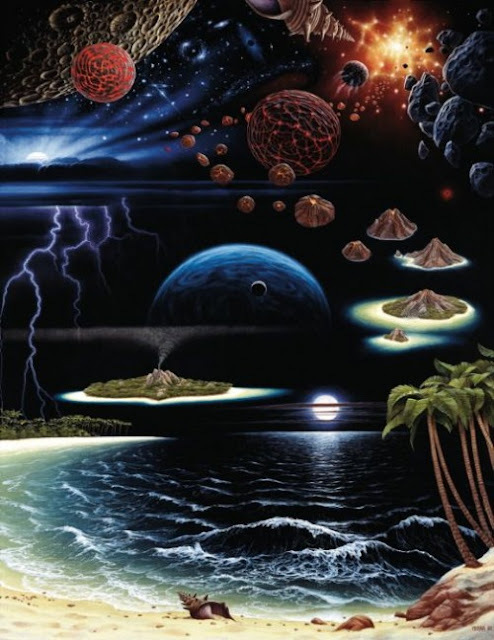 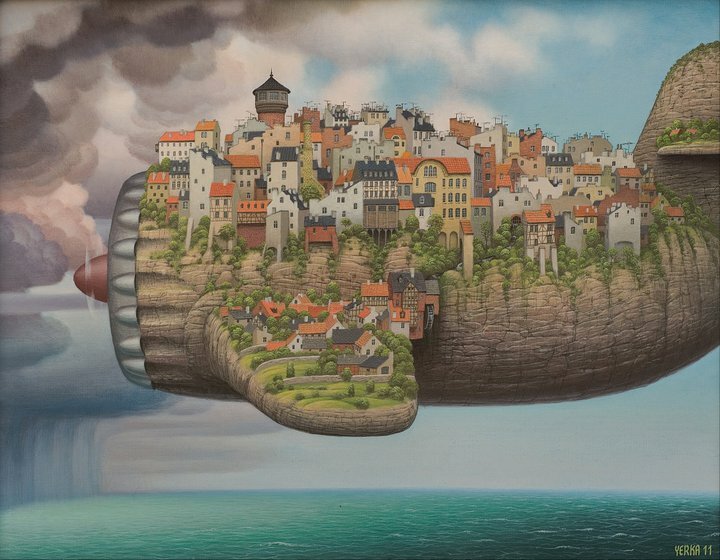 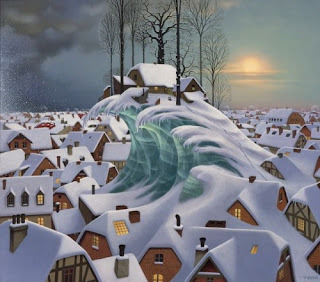 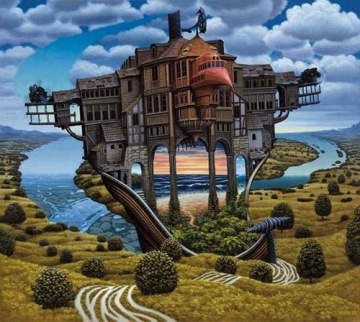 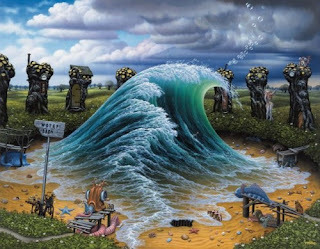 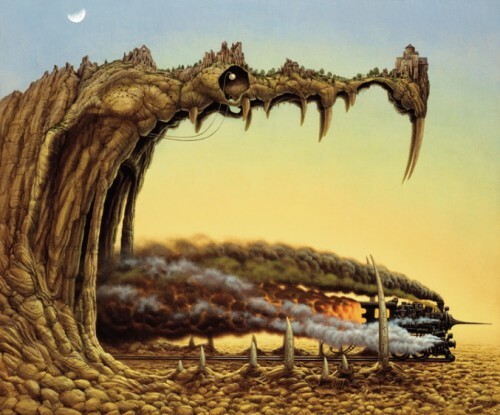 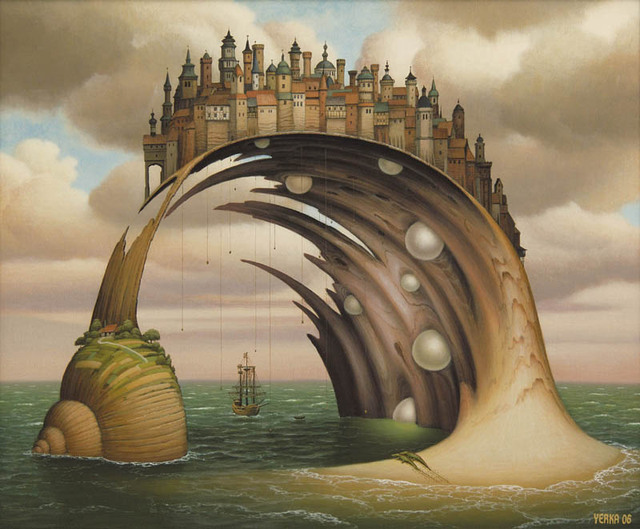 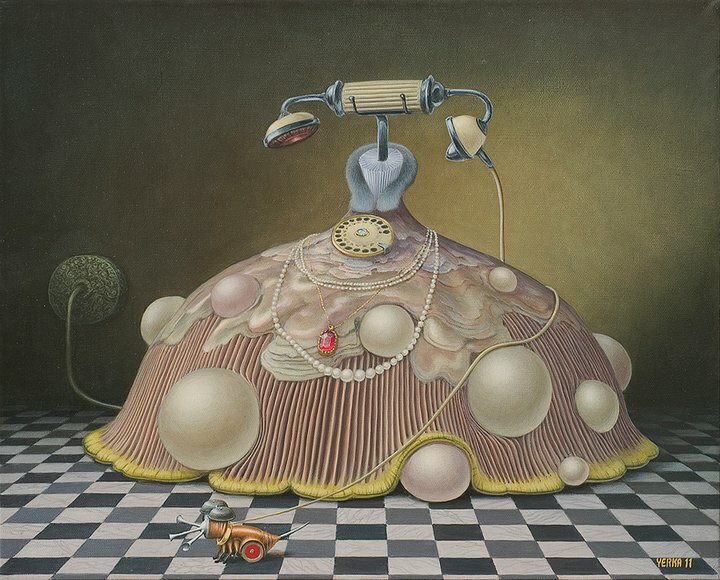 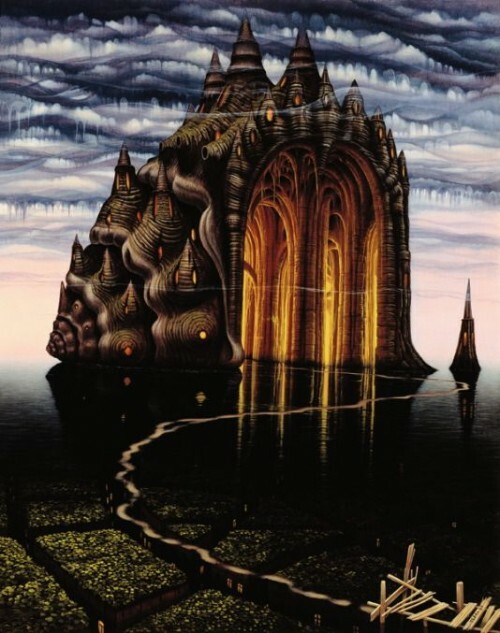 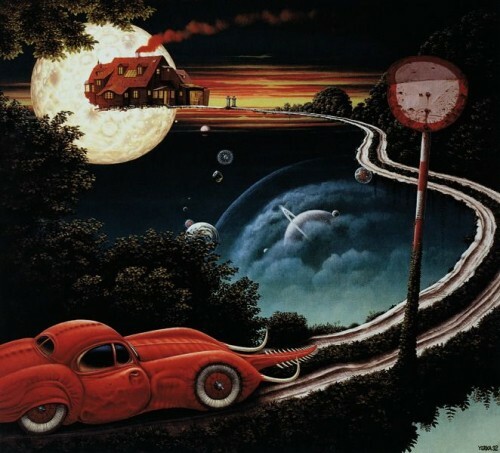 Jacek Yerka is a Polish painter and was born in 1952 in Torun, Poland. 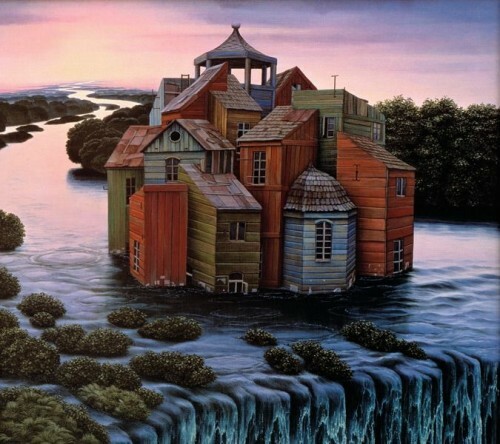 He studied graphic design and fine art in Poland. 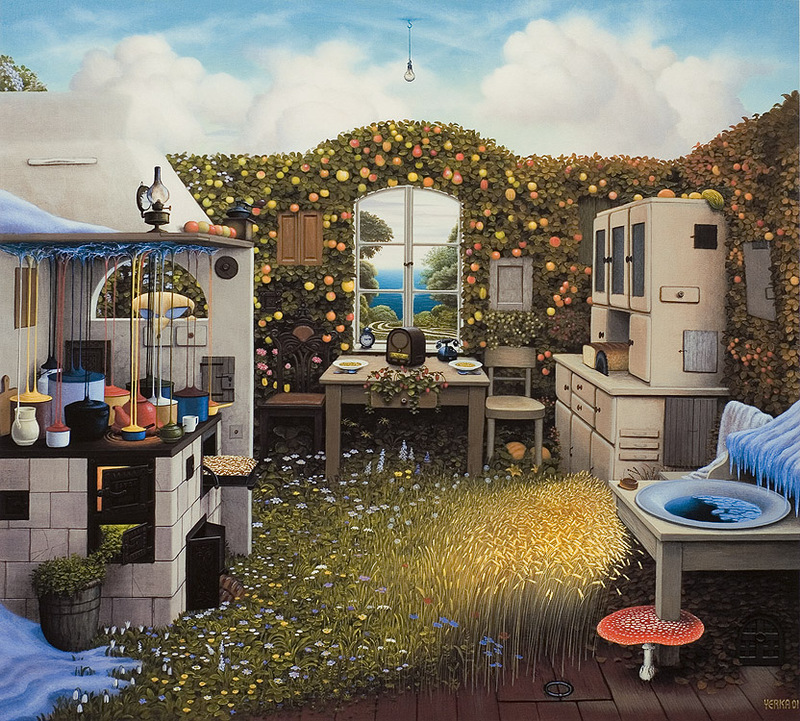 When he was at the University, he resisted the constant pressures of his instructors to adopt the less detailed, less realistic techniques that characterize so much of contemporary art. 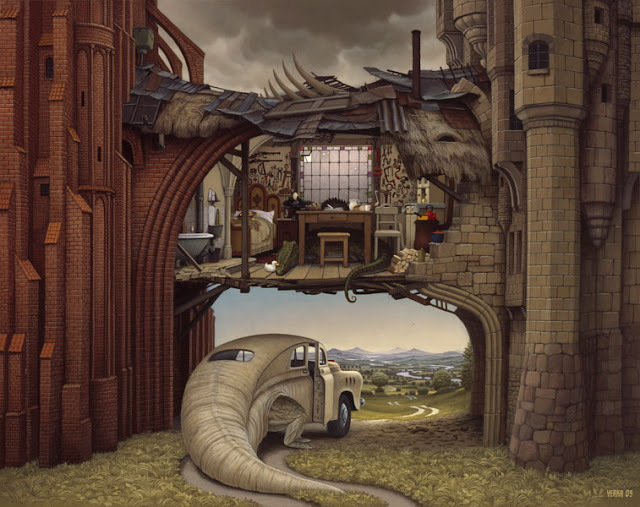 Instead, he stubbornly continued to work in the classic, meticulous Flemish style he still favors to this day. In the end, his teachers eventually recognized the determined student as a brilliant talent.